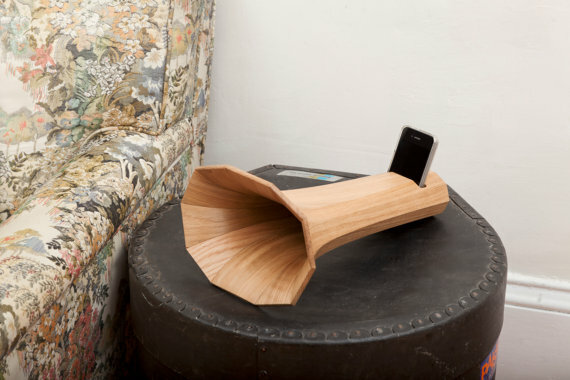 Decaphone: A gramophone for your iPhone. Hey, that rhymes. I’m a huge fan of the juxtaposition of high tech and low tech, but I’ve never seen anything like the Decaphone. Or really, I have. But it wasn’t all in wood and it certainly didn’t have a dock for your iPhone in it. 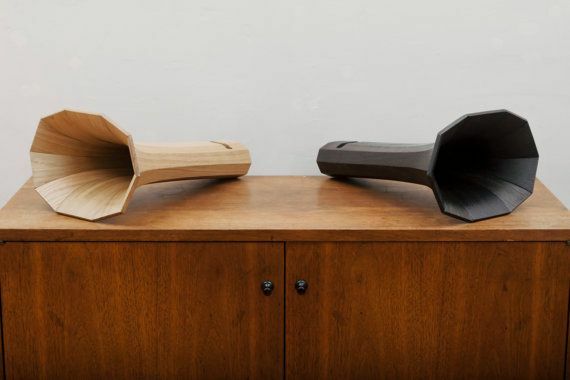 The Decaphone is inspired by the 19th Century gramophone and works as a completely wireless, battery-less, electric-less amplifier for your iPhone. Crazy cool, right? Each piece is completely handmade from a talented Providence woodworker (and probable RISD grad) from your choice of natural oak or ebonized oak, then ready to be displayed, and let’s be honest, gawked over. You can purchase the Decaphone at Modest Goods on Etsy. Though despite the shop name, the price is not modest.